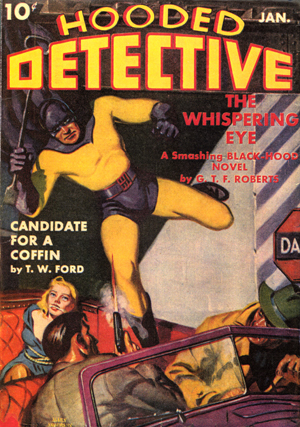 For nearly 20 years, Dan Fowler and his G-men battled crimedom in the pages of G-Men Detective. Now, author Tom Johnson has indexed each issue, listing everything you need to know about the series. Also included are complete reprints of the two best Dan Fowler stories as chosen by Johnson and pulp historian Will Murray: “Give ‘Em Hell” by Norvell W. Page and “Bullet Justice” by Charles Greenberg. 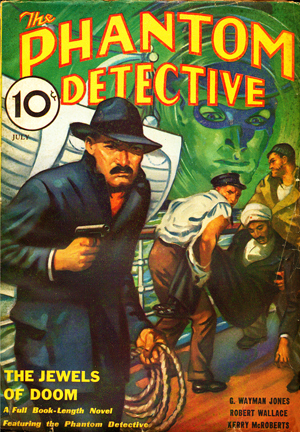 And reprinted in its entirety for the first time: “I Cover the Murder Front,” the lost, rejected Dan Fowler story. 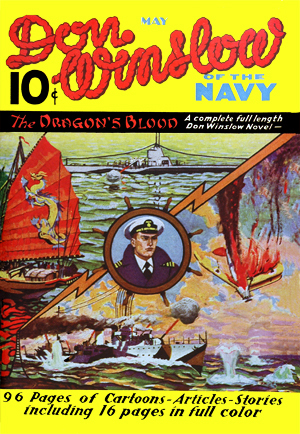 Featuring additional articles by Johnson and Murray, this is the ultimate history of the series.